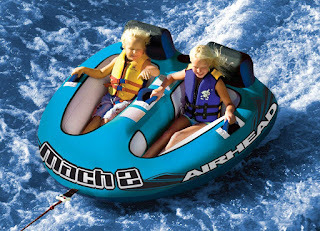 Savvy Spending: Amazon: Airhead Mach 2 Two-Person Tube for just $24.25 shipped! Amazon: Airhead Mach 2 Two-Person Tube for just $24.25 shipped! 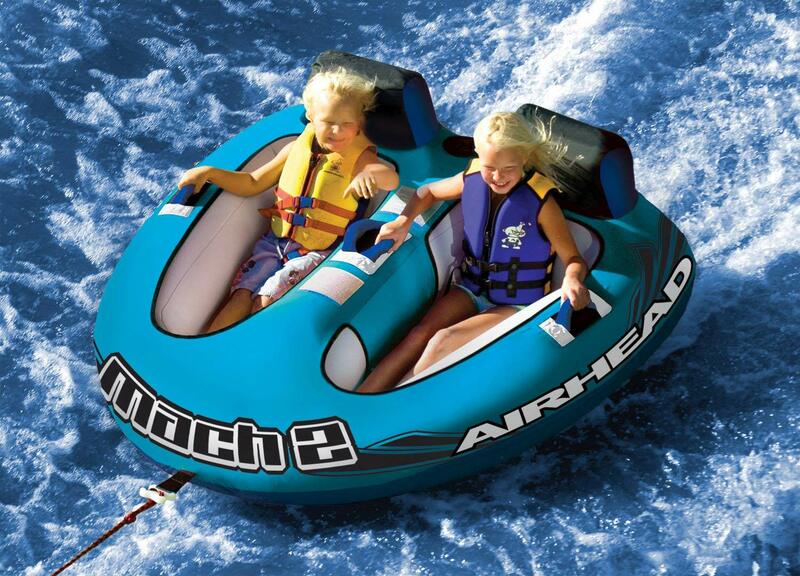 Amazon has this Airhead Mach 2 TWO-Person Towable Tube for just $24.25 shipped (regularly $270?!)! This tube can fit child to adult riders (adults will have to bend their knees). Deflated dimensions are 69-Inch x 69-Inch. Fits people from child to adult. Larger people have to bend their knees and hold on, but they should fit securely in the Mach 2. Using water towables comes with the risk of the rider going into the water.